Are you planning to create your next multi-channel marketing campaign for reaching the supermarkets and departmental stores anywhere in the world? If yes, you are certainly at the right place. Blue Mail Media’s Supermarkets and Department Stores Email List will give you actionable insights to target your significant prospects the right way. 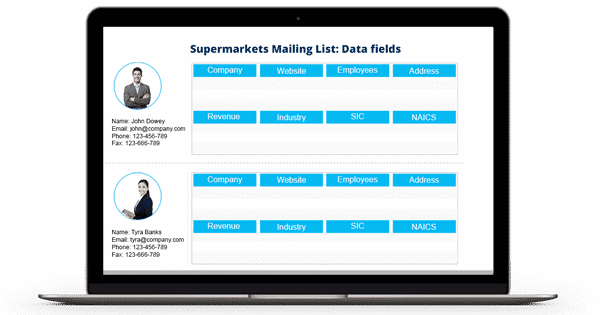 The list is a data bank covering the contact details of the business professionals, decision-makers, and others related to various supermarkets and departmental stores in the US, UK, Asia, and other regions of the world. To add to the credibility of our database services, we make sure to update and verify on a regular basis (within every 60 days). Updated database to take you to the right fits! Supermarkets and departmental stores offer a variety of household and food products. These products can be fresh produce, canned products, dairy products, pharmacy products, and so on. The departmental stores and supermarkets rely on various solutions – software, equipment, and more. If you think your services and solutions can help these stores work better or can help them do their jobs with ease, they can be your best target fits. All that you need to possess is a contact database that is credible – updates and verified. And thus, Blue Mail Media brings Supermarkets Email List. We gather the contact records in this list by using sources like government records and company newsletters. We ensure to keep the list in compliance with the GDPR and anti-spam laws and regulations. Also, you can get this list customized as well as pre-packaged according to the needs or challenges of your multi-channel marketing campaigns.